This delightful and delicate Debutante ring is poised from gorgeous 9ct gold, presenting cut-out leaf design. 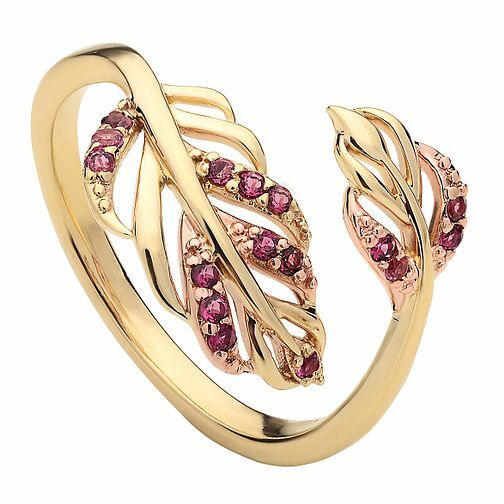 Alternating leaves are embellished with captivating pink tourmaline stones, an elegant and enchanting touch. A timeless beauty with colourful charm.